Sometimes I forget about easy art activities like "fablon" art (some call is sticky backed plastic), last week when the children had finished snack but we were still outside for another hour, I remembered about some fablon I had in the office & decided to let them make a snowman to brighten up the door to the playground. We have lots of small tissue squares & offcuts that were perfect for this. I cut the shape of the snowman out & the children enjoyed covering all the plastic up until we had a colourful snowman to display on the door. Then another day, I decided to let them use what was left to create some art for the story room window. The first time, it was weird as only girls got involved whereas the second time it was a very mixed group that enjoyed the activity. Luckily one of the assistants found a big roll of fablon & now we can make loads more lovely colourful stainless effect art for the doors & windows! A big thanks to Monica for some of the photos. 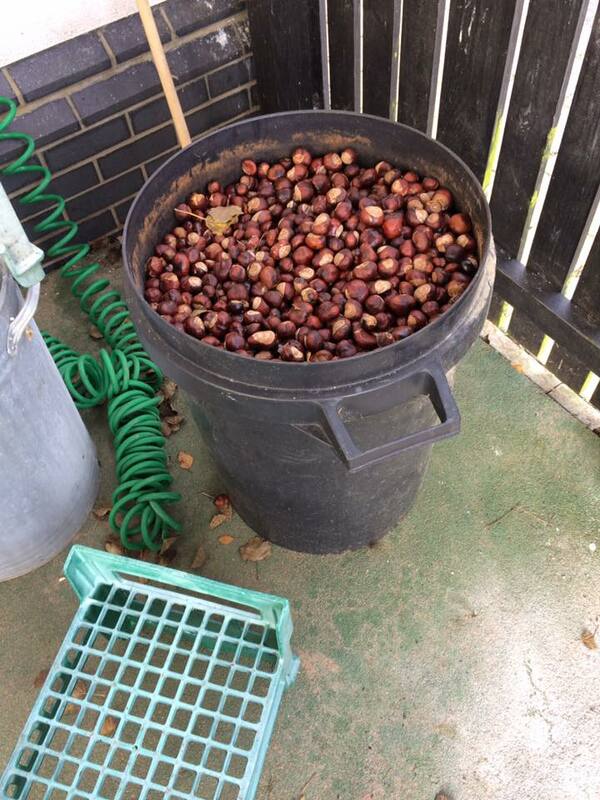 What to do with 1000's of conkers! In October our Parent Council (PTA) asked the children to collect conkers for the Hallowe'en party and offered prizes for those who brought the most in in each class. They were surprised by the sheer amount that were collected and after making conker snakes with all the children at the party, they had 2 bins full of them left over to donate to nursery. We have enough to fill up the bottom of one of the pallet dens! 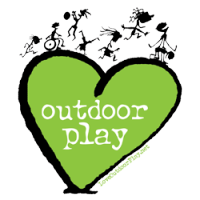 Since then the children have had fun cooking with them in the mud kitchen, rolling them down the slope in Bear Woods, planting some to see if we can grow some chestnut trees and generally incorporating them into their play. 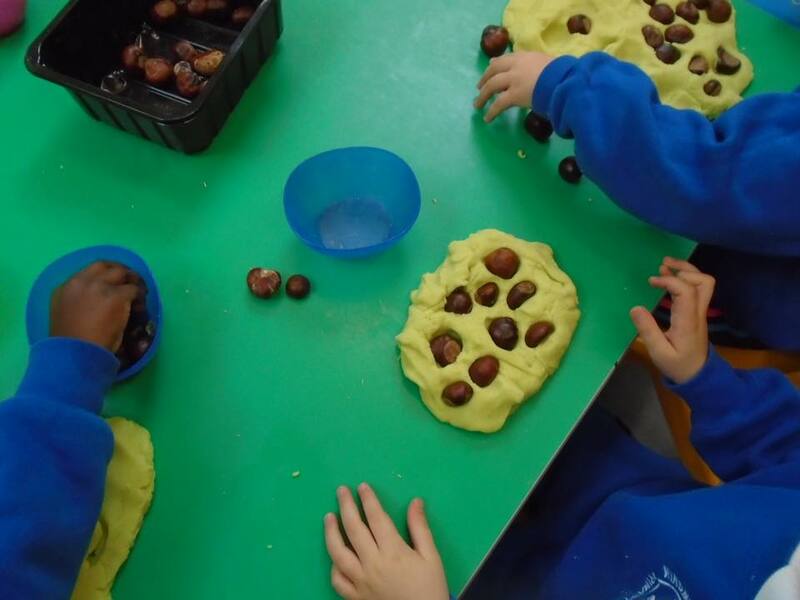 We had added them to most activities indoors too - the dough, water, sand etc. & plan to paint with them soon too. Candles on the birthday cakes. 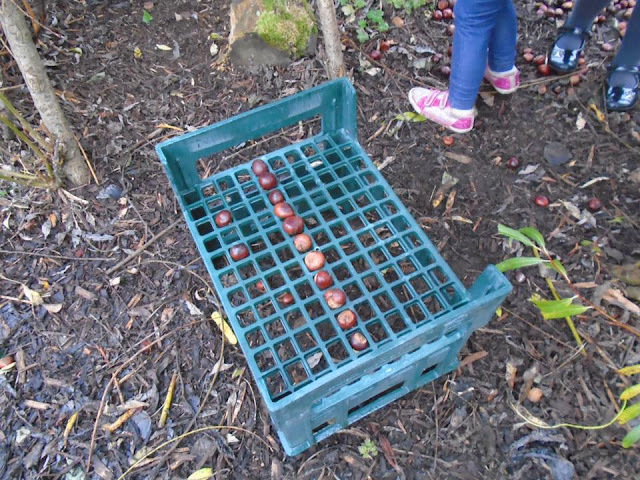 It has been fascinating to see all the early maths coming out with the conkers, some have made patterns with them on the crates or lined them up to count. One child began to put them into some upturned giant Lego blocks to make 'birthday cakes' & this was followed with others putting loads into some bilibos and 'cooking' them on the fire - I do love it when the children transfer experiences into their play scenarios. The Lego blocks are the sticks, as they have seen me set a fire & they are cooking chocolate cake! Sometimes we adults lose sight of the fact that resources can be used in so many different ways and they don't have to have a fixed end result. Luckily young children always see the potential of any resource to be anything they want it to be and aren't constrained by the same beliefs that we adults might have. Every 2 weeks when we plan as a staff, we sit in the store where all the resources are kept so we can look at them differently and mull over which resources might work together. 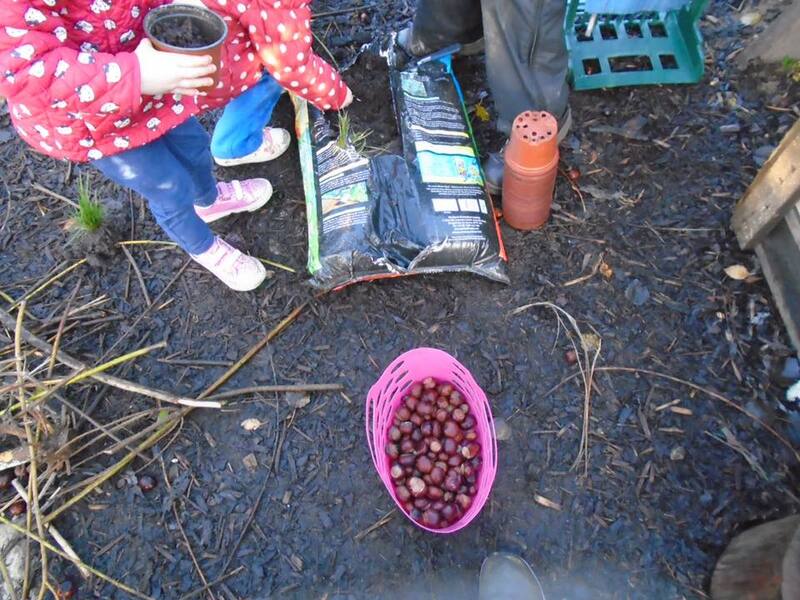 At the end of the day some of our 'experiments' work and others don't but mostly they are a success as the 3 and 4 years olds embrace any opportunity to use resources in so many different ways. I suppose we need to see all resources as loose parts! A few years ago we invested in some Polydron and it quickly became a favourite of everyone - there just needs to be loads of it so there is no arguments over the pieces. 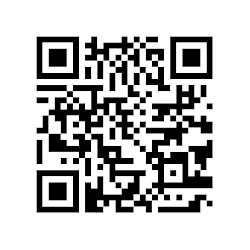 It is a very versatile resource as it works on it's own or with other pieces added to it. Up until now we had added small world figures so the children could make houses etc. but then this week we put the rectangular magnetic boards out with them and it was incredible to see how the children embraced the chance to use the Polydron on a flat surface. Some built them up in the traditional way making boxes etc. 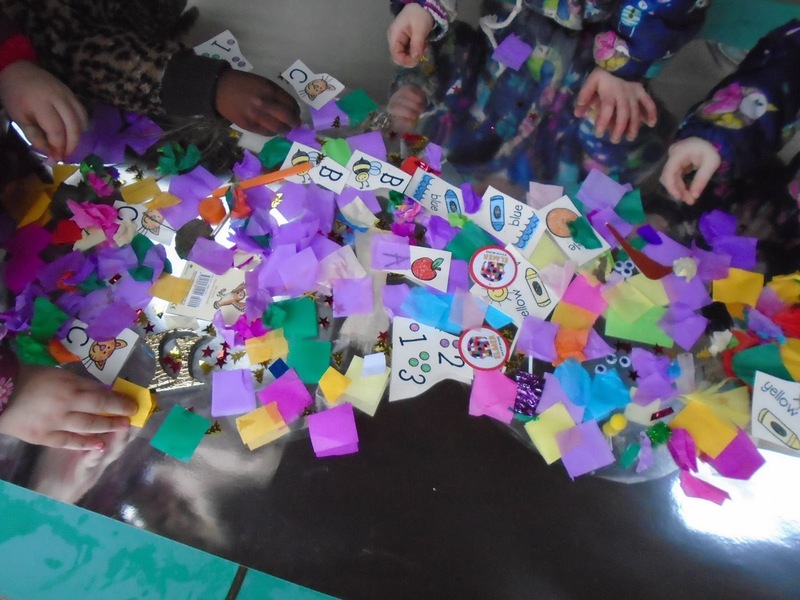 whilst others began to make patterns and then add figures into the shapes. One child made ' a lovely sunny day', we'll be evaluating this mix of resources as a success and certainly be putting this out again soon. "It's a lovely sunny day" - can you see the grass, sky & sun?